Hi, I’m Doctor Dr. J. Paul Koch, DMD. Most every day, I can be found at my Mountain Brook area dental office treating dental patients with tooth and gum problems or helping patients prevent them. There are many common medical conditions that pose a risk to oral health. 1) Birmingham diabetes patients with high blood glucose often have a higher risk of dental issues. If you have diabetes, let’s talk. My number is 205-933-0323. 2) A persistent dry mouth due to an inadequate amount of saliva can accelerate tooth decay, cause or contribute to gum disease, and trigger chronic bad breath. Many medications used by thousands of Alabama folks, including those for high-blood pressure and depression, cause dry mouth. This side effect is not only unpleasant, it is dangerous. Anti-depressants (especially SSRI’s) and anti-psychotic drugs can also trigger tooth-grinding (bruxism). I help many Birmingham dental patients prevent problems associated with medical conditions that sometimes seem unrelated to dental health. 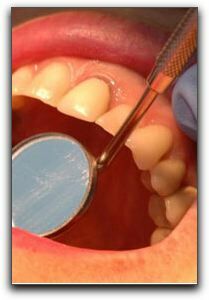 Regular professional dental care is essential for oral health, and an important part of your overall physical health.